In most fairways I have seen, the rear windows in the passenger compartment have been on manual sliders, with a lock to secure them overnight or when the cab is unattended. The patch where that lock used to be is now covered up with a piece of upholstery. When I first looked at the wiring for the windows, the power was being distributed through a series of nasty connector blocks, the wires were a non-standard green, the connections were corroded and so the windows were sluggish when raising them. As part of my electronics overhaul, the power is now distributed to all the window switches from the bus bar which I put into the central console. 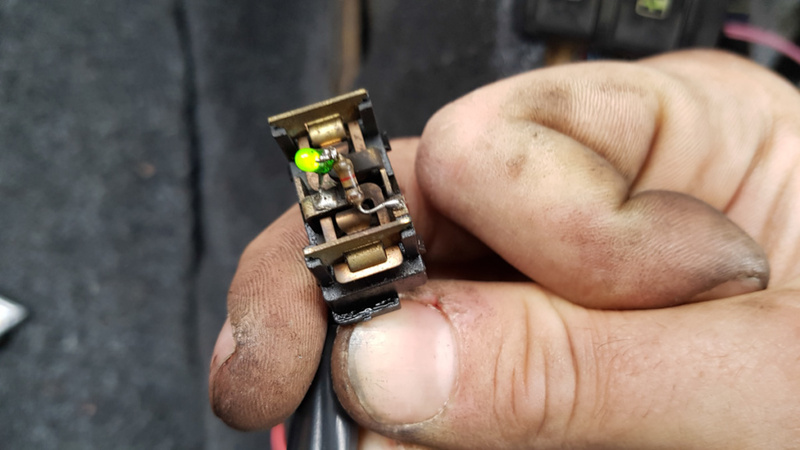 The switches split the 12v from these wires and send it to either side of the motor for that individual window, again this respective raise and lower wiring was also a shambles. The existing loom in the taxi has wiring for the front electric windows (grey with either green or pink trace), however these were not being used and were coiled up behind the dashboard, so I extended them and connected them to the switches so it was coherent with the factory wiring diagram. The rear windows have no such wiring included and as such are not included on the wiring diagram. If you’re looking for window switches, there are plenty out there on ebay for retrofitting electric windows. Mine are made by Ansor, although they are just generic switches similar to those from Lucas. I did find that the switches had a small LED wired in series with the 12v in, so they were on whenever the windows are powered. As I have wired the windows to the hot bus bar, it meant the LEDs would remain illuminated even if the ignition was off and so I unsoldered them. It’s a shame the LEDs don’t have separate terminals as it would be nice to wire them into the instrument lighting circuit (red wire with white trace). Here you can see the LED which is wired up to the switch with no easy way of being put on a separate lighting circuit.